CLAYTON, NC – The Clayton Bootleggers finished off their Spring season this past weekend on a very high note. 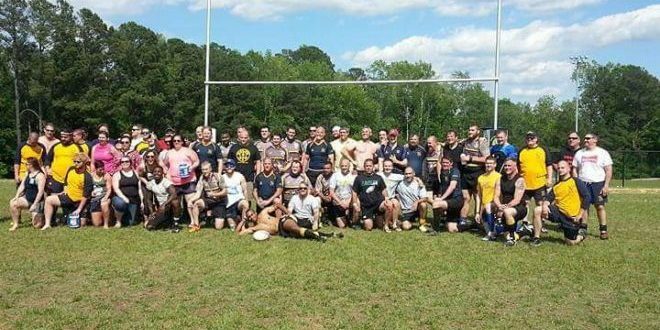 The club organized a full day of rugby that included youth, women, men, and Old Boy matches hosted at East Clayton Community Park. The youth matches were a warm up for the Clayton Copperheads as they prepare for the Carolina Cup State Tournament this coming weekend in Charlotte. For the Bootleggers, it was their final matches of the season with both the 1st XV and 2nds finishing with wins. The Bootleggers 1st XV were the first men’s match of the day as they took on the Akron RFC from Ohio. The match marked the second straight home match for Clayton against an out of state opponent. Clayton and Akron played a heated match with plenty of big hits and scoring. Clayton came out of the gates firing and quickly put points on the board with No. 8 Gareth Davies touching down the first try of the day for the Bootleggers. The score was the first of three for Davies, who put in a big performance from the back row. Clayton held the bulk of possession in the opening 30 minutes and was able to turn it into points as Stuart Mckenzie, Connell Smallwood, Brian Beauregard, and Davies each added tries as the Bootleggers pushed out to a 27-0 lead. Davies second try of the match was a highlight reel kickoff return. Despite the early deficit, Akron held strong and regrouped. They finished the half by pounding in a try to cut the Clayton lead to 27-5 heading into halftime. Akron came out in the second half ready to cut into the lead some more. After a misplayed kickoff by Clayton, Akron took advantage and added a second try to cut the lead to 27-10. Akron also began to control the set pieces as they put massive pressure on the Bootleggers scrum. Sensing a shift in momentum, Clayton regrouped and went back to their game plan and turned the tide in the match. The Bootleggers added another try from Mckenzie, Davies third of the match, and tries from second half replacements Eric Hile and Anthony Crumity. The final score did not nearly reflect how closely fought the match was between the two sides. A credit to the Akron side that didn’t let up even when the score got out of reach. The win ended the Bootlegger’s Spring season with an 8-3 record, their best season to date. In their final three-match home stand, the Bootleggers outscored their opponents 186-53. The Clayton 2nds then followed by taking on a combined Clayton/Akron Old Boys team. The squads locked into an entertaining affair with both sides breaking off long scores and putting in some big hits. It was a seesaw game that saw multiple lead changes throughout the match. The Old Boys started off strong and took advantage of some opportunistic calls from the referee. The Bootleggers found their feet midway through the first half and started their comeback. Clayton extended their lead in the second half only to see the Old Boys come storming back and nearly steal a win at the end. Eric Hile scored three tries for Clayton and added three conversions for a total of 24 points. Anthony Crumity added two more tries and Eric Tansey scored his first career try in the winning effort. With the Spring season under wraps, the Bootleggers now begin to prepare for the Summer 7s tournament season. The club expects to play in 3-4 tournaments this Summer. 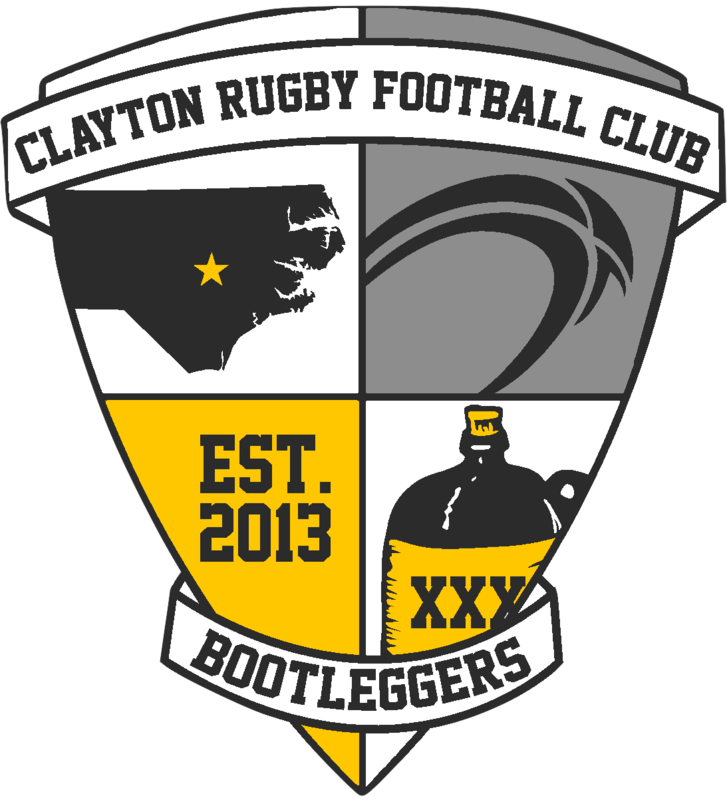 The Bootleggers return to playing 15s at the end of July when they begin pre-season training for the Fall season. The Clayton RFC is fielding teams in both Division 3 and Division 4 this coming season.